Hooman Keshavarzi is a Licensed Psychotherapist in Illinois, completed his Psy.D (to be conferred), holds a Masters of Clinical Psychology and a Bachelors of Science – specialist psychology track/minor in Islamic Studies. 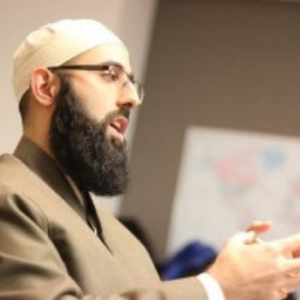 He is currently visiting faculty at Ibn Haldun University (Turkey), an Adjunct Professor of Psychology at Argosy University Chicago, American Islamic College, Hartford Seminary, instructor of psychology at Islamic Online University and founding director of Khalil Center – the first Islamically oriented professional community mental wellness center and largest provider of Muslim mental healthcare in the US. He is also a fellow at the Institute for Social Policy and Understanding at the Global Health Center, conducting research on topics related to Muslims and Mental Health. Hooman Keshavarzi is an international public speaker and trainer currently serving as a Clinical supervisor of graduate students of clinical psychology at the Village of Hoffman Estates (DHS). He also delivers seminars on specialized topics around multiculturalism and psychology. Hooman Keshavarzi has also authored several published academic papers in recognized peer-reviewed journals on integrating Islamic spirituality into modern psychological practice. In addition to his academic training, Hooman Keshavarzi has studied Islamic theology both formally and informally. He is a student of Shaykh Muhammad Zakariya from Toronto, Canada, where he attended his hadith and spiritual discourses for a number of years. After moving to Chicago, he studied informally with Shaykh Azeemuddin Ahmed later formally enrolling in Darussalam Academy for 4 years. During this time he also did some specialized coursework with Shaykh Amin Kholwadia in Islamic counseling. He then transferred to Darul Qasim where he is continuing his higher Islamic education.